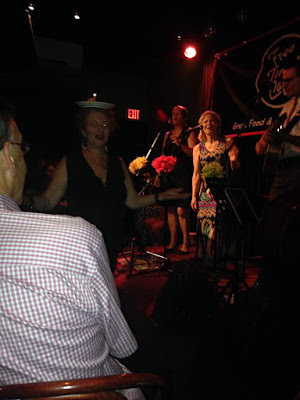 60's FOLK REVIVAL: Hot August Night! Thanks so much to everyone who came out to sing with us on Wednesday night. 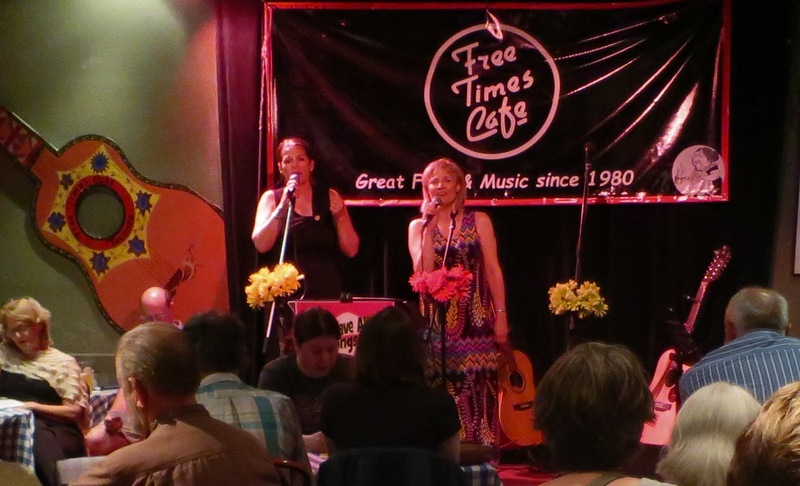 It was a really hot steamy night in Toronto but in the lovely air-conditioned music room of Free Times Café, the warmth being generated was all from a love of the music and camaraderie of people singing together. One lovely newcomer commented that it was the most fun she's had on a Wednesday night! We introduced two brand new songs this month. 'There Is A Ship', which is the Peter Paul and Mary version of 'The Water Is Wide', and the very intense 'Cod'ine' by Buffy Sainte Marie. Two very different songs from one another. 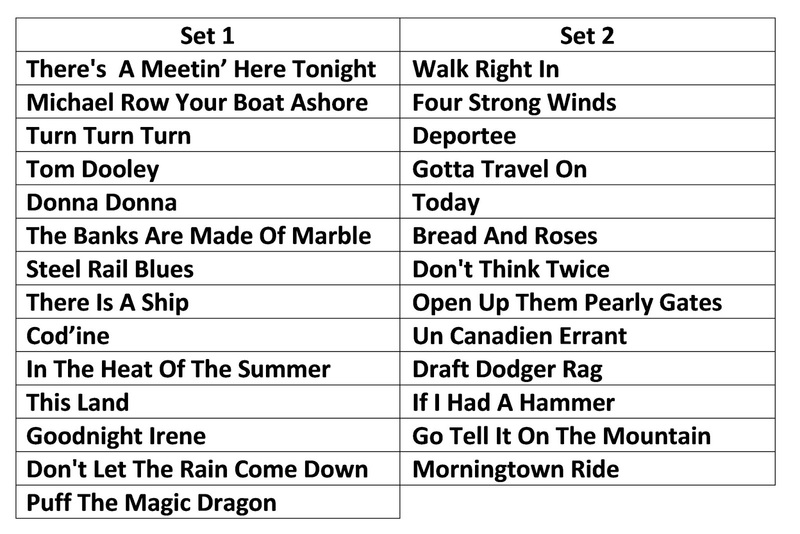 The latter has been requested numerous times over the past few years by one of the younger audience members who attends the show regularly so we were pleased to add it to the repertoire for her. 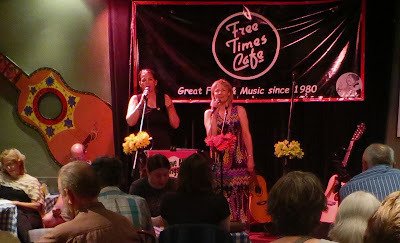 Dwight snapped this photo of Michelle and Sue singing 'Bread and Roses', acapella a la Joan and Mimi Baez. Another birthday was being celebrated this month, and FT's owner Judy was there, so the birthday girl got the full tradition of Happy Birthday being sung to the tune of 'Michael Row Your Boat Ashore' by everyone while having a slice of cake delivered atop Judy's head. Thanks Colin, for capturing this photo of the delivery. Looking ahead to September...we two shows scheduled. The first is on Wednesday, Sept. 19th at the Free Times Café in Toronto and the next is at the Artword Artbar in Hamilton on Saturday, September 29th. It's not too soon to make your reservations for either show.